A mansion on one of the world's most expensive streets has been put on the market for a whopping £30 million in what has been dubbed the UK's most expensive repossession. Dryades is located in the centre of The Bishops Avenue, a leafy street dubbed Billionaires' Row. 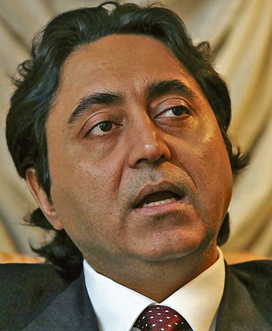 The owner of the property - former senator Waqar Ahmed Khan, has had it seized by the bank following a lengthy High Court battle. The home was bought for around £12 million in 2005 by the family of Waqar Ahmed Khan as they looked to invest in the London property market. In 2007 it was used to secure a £50 million loan with Deutsche Bank, but a lengthy debt and possession dispute between both parties resulted in the family losing the home earlier this year. The home has now been put on the market by the bank but anyone who buys it won't live in the 8,000 sq/ft pad. Instead it's set to be knocked down and replaced with the UK's largest new home. Under the approved proposals, the multi-million pound home can be replaced with a staggering 46,000 sq/ft property - 50 times the size of a typical home. Despite being minutes from the busiest parts of London, it will boast 21 bedrooms, 14 bathrooms and 12 reception rooms when completed and have 1.5 acres of gardens. The front will have a 63-metre frontage and there will also be staff quarters, an orangery and a huge centrally-positioned staircase reached by walking through a grand vestibule. As with many mansions, the property will also have a lavish basement, which will feature an underground car park, swimming pool, sauna, gym, steam room, billiards room, cinema, bar and bowling alley. Its value could be approaching the £100 million mark when completed, making it one of the country¹s most valuable new residences. The receivers, Eddisons, have appointed the Knight Frank estate agency to sell Dryades. 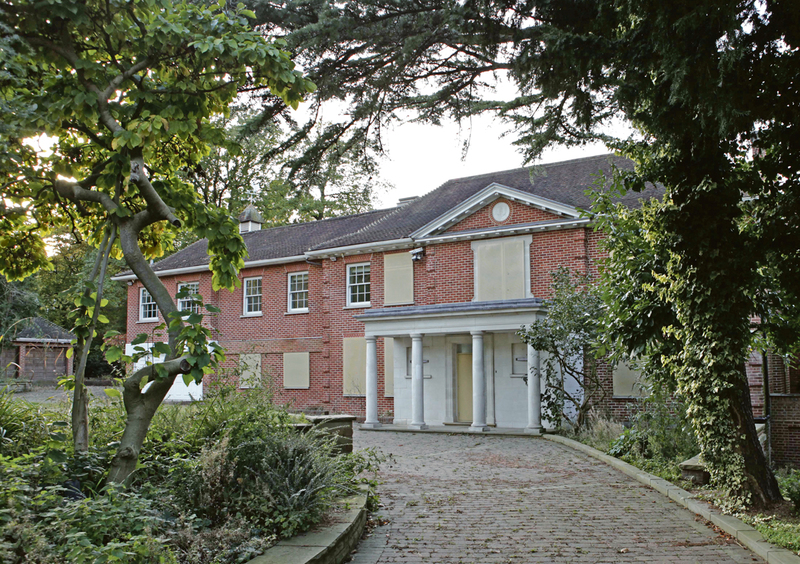 It currently lies boarded up on The Bishops Avenue and the grounds are beginning to look overgrown. Grant Alexson, head of Knight Frank¹s Hampstead office, called the property ‘an exceptional opportunity’. He said: “The house, which is currently quite modest, is set in 1.5 acres of prime land on The Bishops Avenue. “The value is in the planning permission. A piece of land like this is worth a lot more if you can build on it. “It would be the largest home on The Bishops Avenue and one of the largest new homes in the UK. “It is an exceptional opportunity to buy one of the finest pieces of land on The Bishops Avenue and it is likely to appeal to an international client. The Bishops Avenue, dubbed Billionaires' Row, is one of the world's most well-known residential streets. It is a favourite among oligarchs and oil magnates and is sought after because of the size of the homes and the large plots of land that they occupy. The Saudi Royal Family recently cashed in on the street, selling their ten homes to an investment group for a reported £80 million.